Happy Friday!! 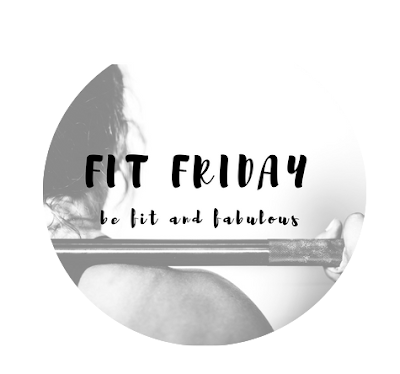 Fit Friday No. 1 of 2018! I'm starting the first Friday of the year off on a fit note. One of my biggest goals this year is to put my fitness first, the whole entire year. I'm good at going strong for a few months at a time, but I have trouble staying consistent longer than that. This year, I want to do better, and I want to document my journey. On top of my regular Fit Friday posts, I'm going to do a once monthly check-in! I'll answer a few questions and talk about how my month went. I hope you'll subscribe and follow along, and if you're going through your own journey, I hope you'll share it too! Every month I'll be answering 5 questions. I'm going to check in on the last Friday of each month and share that month's answers to these same five questions. I think sharing here will serve as great motivation, and I'm excited to look back and see the progress I've made throughout the year. I'm considering making this a monthly link up, so if you're a blogger that's interested in linking, please contact me! My first check-in will be the last Friday of January!